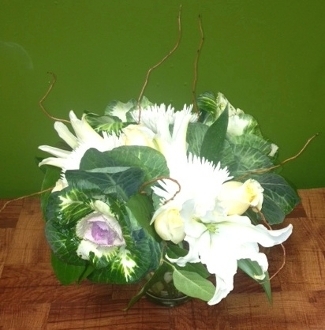 Royal Florist Los Angeles makes each Green White Bloom Flower Arrangement from the freshest flowers found daily in Los Angeles. Our florists hand pick each flower for all of our floral arrangements. Same day flower delivery in Los Angeles and surrounding cities.